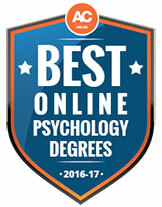 PULLMAN, Wash. – Washington State University recently was recognized for excellence in psychology education among colleges and universities nationwide. PULLMAN, Wash. – Washington State University’s Tidal Leadership certificate program has won the 2016 Online Learning Consortium’s Outstanding Online Program award. Criteria include access, learning, effectiveness, cost effectiveness and student and faculty satisfaction. PULLMAN, Wash. — Washington State University is launching an online certificate to provide training to groups that need an extra edge to advance their careers, especially women and graduate students. The Tidal Leadership Certificate is a 12-week, non-credit course that will help participants develop their unique leadership abilities. PULLMAN, Wash. – Students in about half of fall 2014 classes will use a new online course evaluation system at Washington State University. By spring 2016, all WSU classes will be phased in to using eXplorance Blue rather than paper forms. PULLMAN, Wash. – The online criminal justice bachelor’s degree at Washington State University is the best nonprofit program in the nation, according to a new ranking by Criminal Justice Degree Online. PULLMAN, Wash. – Washington State University will launch an online graduate certificate in sustainable agriculture in the spring. PULLMAN, Wash. – Washington State University is among a handful of colleges featured in an article about innovative online orientation programs offered to new international students. PULLMAN, Wash. – The Washington State University College of Business has been named one of the best business schools in the nation for its online business graduate programs for veterans by U.S. News & World Report. According to the report, the college ranked third in the Best Online Graduate Business Programs for Veterans category. PULLMAN, Wash. – Washington State University is launching an online master’s degree to meet the growing need for highly skilled field practitioners and managers in today’s technologically advanced agricultural industry. The program begins this fall and is accepting applications.